National parks blankets made in Oregon by Pendleton Woolen Mills. Taken as a group, all the Pendleton products have a rather rustic effect, but individually we could see them fitting well into a modernist interior. And besides, why not wrap yourself up in a toasty national park when the weather gets cold? Best of all, they're made here in the USA. Check the slideshow of images and weigh in with your favorite. Crater Lake is another park that gets a nice treatment from the Pendleton crew. I'm a sucker for a big field of color followed by those vibrant stripes. If Glacier National Park is too bold, the navy blue dampens the contrast a bit. Variations on a theme here. I could see this over the back of a monochrome sofa as a nice burst of color. The Grand Canyon blanket has the strongest regional feel of all of them. The warm Southwestern tones evoke Arizona and the red stripe almost feels like the canyon floor as seen from above. Bolder, bigger blocks of color define the Yellowstone blanket. Fittingly, a sun-baked yellow takes the lead. Cool blues and even more stripes mark this Yosemite blanket. This one veers a bit into beach towel territory if you ask me, but the muted tones could help anchor a splashy interior. 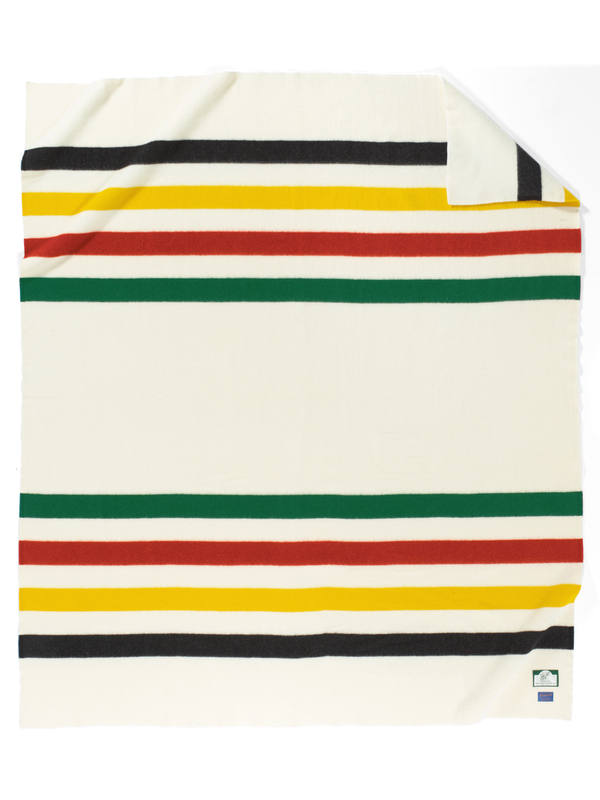 This blanket for Acadia National Park in Maine somehow seems the least modern to me. Though perhaps as an accent to some really clean, spartan interior it could work well.